Bedrooms are a fun place to be, especially if you like sleep and let’s just be honest… the horizontal mambo! Color plays an important role in mood so knowing what your purpose in the bedroom is before deciding on color is highly suggested. If your primary function is to sleep, then warm calming colors are a must. If you do a lot of TV watching and reading (or pillow fighting), then vibrant colors would be your best bet. However, natural and artificial lighting are pretty important as well in the event that you eat (not encouraged) or read in bed or work at your corner office desk. 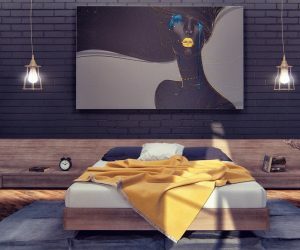 For those are looking for inspiration on how to decorate their bedroom walls this post should hopefully give some good ideas. The rooms below are not only highly desirable because of their massive space and architectural interior design, but also for the amazing accent walls which are instantly noticeable when looking at these rooms- a formula for great design! 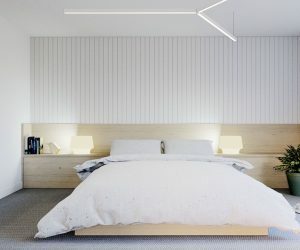 You will see that most of these cool focal points sit on the walls that the beds are centered on, and there may just be a reason for that…. Let us know your thoughts! Did you know that Endangering Designing has released an ebook that has a compilation of the best designs we have come across? You can check it out here. У нашей фирмы популярный блог про направление Черная зубная паста.